Tonight don’t miss the Henhouse Prowlers Live at the Troy Elks Lodge 11pm. They remind me a band from Columbus a while ago… well except that the fiddle player will agree to wear a tie like the rest of the band. This looks like the good stuff. Young folks writing and performing new original traditional sounding Bluegrass. There was a time when it seemed like bands like these were popping up all over the place, and we were one of them. But now, the furry has died down a bit and I’m realizing just how rare the suit wearing, died in the wool, one microphone working, traditionalists are. So I just bought tickets for a Jeff Austin and the Here and Now show at the Troy Elk’s Lodge. It’s listed on the Stop Over site as Jeff Austin and the Here And Now Bluegrass Jam. His official site has him listed as playing a few other shows as well. The Market Street Stage you can see for $5.00. WORD! This is going to be a rude awakening for little old Troy, I hope the old people are ready to be jamming til the morning. This is classic. David Thompson and Ben WInship’s video for Little Miss Cutthroat. I’ll never tire of timeless clarinet solos, set to a solid jazz guitar rhythm back up. Priceless. And Happy Birthday Jerome Garcia, pick them taters SPUD! So in February my dog went Blind. Just like that. Blind as a bat. He has a disease called Cushing’s disease which causes sudden blindness in dogs. One day he just started running into things, and now he does it all the time. The technical term is, Sudden acquired retinal degeneration syndrome (SARDS). He’s coping ok, and it’s not going to adversely effect his health beyond his eyesight and some lethargy. I hope to still get him out and hunt, but obviously in a more grassy environment, not so grouse woodsy. Downed trees and briars would not be fun for a blind dog, can you say headache? To make dealing with it a little easier I named a little tune after that whole scenario and I recorded a video of it last night on the back porch. It’s simple, easy, no frills, but fun to play. It’s the kind of thing you play and people ask, “what is that?” and you say, oh just something I made up. But now days, those kinds of songs don’t often get written down or recorded. It has lyrics but I didn’t sing them in this version. He runs into the old oak tree. That’s it. Simple and Old School. 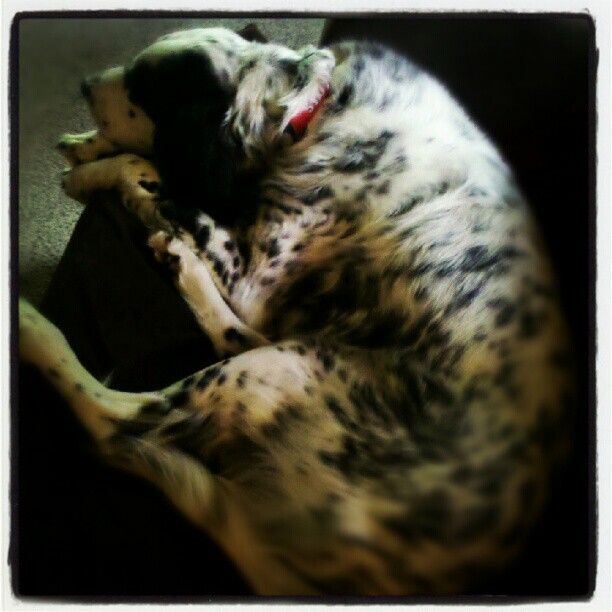 Who Dey Nick – Getting his sleep on. 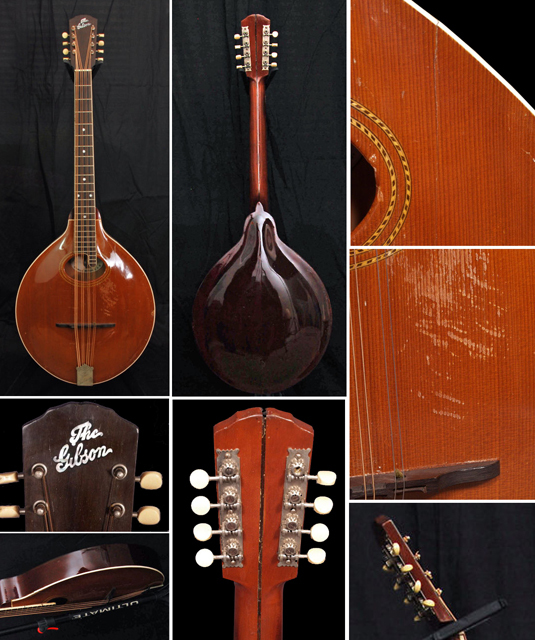 The Mandolin Cafe classifieds show a beautiful and rare 1907 K-1 Mandocello for sale. Talk about drool worthy. Good honest play wear, nice original finish. Details from the ad are below. Oh yeah in case you were wondering, it was made in Kalamazoo Michigan, not a third world country. Tony Rice on guitar, Mark O’Connor on mandolin? Jerry Douglas on dobro John Hartford on banjo Glenn Worf on bass. Wow now that is a weird line up. Someone must have gotten sick and canceled at the last minute for Mark to be playing mandolin, but who cares, this tunes it sweet. A very rare and important piece of Bluegrass History is up for sale at the Mando Hangout, Joe Val’s Loar. Details are below. If I’m not mistaken a friend of mine who I’ve jammed with a number of times owns a Gilchrist that once belonged to Joe Val. I’ll need to reach out to him to confirm that little detail, but even if it never belonged to Val that Gil was a beast. Anyway hopefully this rare and important example of a vintage Gibson mandolin will go to a deserving and appreciative home. Previously owned & played from 1970~1985 by the late New England pioneer in bluegrass music, Joe Val (Waltham, MA). 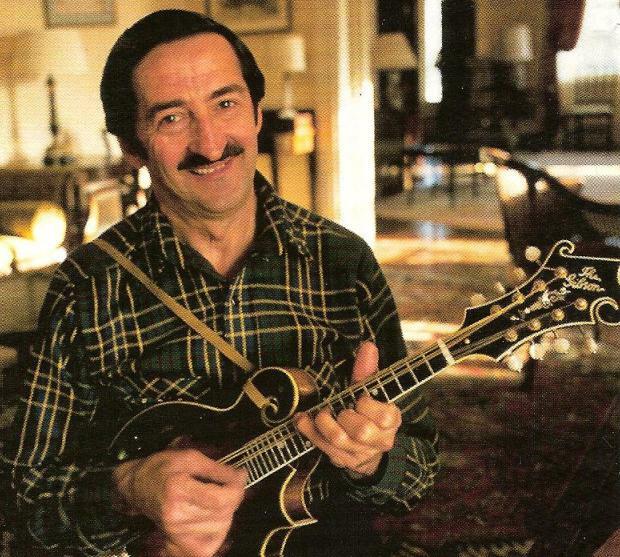 Joe performed and recorded with this mandolin on all of his Rounder Records recordings from 1971~1983. Joe passed away in 1985. Joe purchased this beauty ca.1970 and repairman Kenneth Miller did the initial setup at his New England guitar shop. It came without tuners on the treble side and was reportedly sold for quick cash by a local guy…shall we say…down on his luck. Joe’s mandolin has been owned, cared for and played exclusively by myself, Kevin Lynch, since January 1986. It was at that time that I was chosen to purchase my friend Joe Val’s mandolin from his widow, Thelma Valiante. Present playing condition is EXTREMELY FINE. Joe left the original tailpiece in a hotel room in the 1980s. Banjo fret wire, slightly wider than classic fret wire, installed in the late 1970s by Joe’s sideman-banjo player Paul Silvius. Refretted only once since. Very minor ‘repair’ of original fingerboard (re-glued), dressing of frets, and custom-made Lloyd Loar-era Solid Silver Waverly tuners installed in October 2007. The original fruitwood shim under the fingerboard was saved (a rarity) and is intact. All work done professionally by one of the best in the business, Master Luthier David Harvey at the Gibson Company in Nashville, TN. No Virzi Tone Producer was ever installed. The felt in the pick guard brace, between the bracket and the body, is original (also a rarity) and in mint condition. The ‘teardrop’ on the peg head is typically broken-off on many of these Loars. This one was cracked, but never broken completely off. Repaired during its initial setup after Joe bought it. The neck joint is as solid and tight as the day Lloyd signed-off on it…as is the entire instrument. Sale includes original rectangular case — complete with original Gibson sales tag tied to key (“Gibson: Music Pal Of The Nation” $250.00). Also comes with original bass-side tuners, original bridge & (broken) saddle, photocopy of my Bill of Sale, and misc. photos of this well-documented instrument. Serious Buyers Only please contact Kevin Lynch (based in The Netherlands) via e-mail at KLBGRASS (at) AOL.COM for phone number, sale price and a more complete history of this rare collectible piece of American Bluegrass music history. Can negotiate terms for hand-delivery to buyer. No bargain basement prices here, not desperate to sell. This instrument will only be considered for sale to an appreciative, responsible and caring buyer.